Recently, Fitbit gave $US6 million to a San Francisco startup called Sano, which is creating a CGM without a needle. Geoffrey Woo hasn’t gone back to Burger King since he saw the numbers. The trim 30-year-old was at the airport one afternoon when he strayed from his healthy diet and ordered an old-time favourite: a Whopper, fries, and a Coke. Everything seemed fine until a few hours later, when he checked a device usually used only by people with diabetes. The trend lines on the small square display, which tracked Woo’s blood-sugar levels, normally stayed fairly flat. But after the Burger King meal, they spiked to three times their normal levels. Woo doesn’t have diabetes, but he says being without that device, known as a continuous glucose monitor, or CGM, feels like losing an organ. A self-identified “biohacker,” Woo ordered his first CGM when he began experimenting with various diets. The tool, he said, gave him a snapshot of the effect different meals had on his body and changed how he thinks about food. Woo is part of a growing community of people without diabetes who are turning to glucose monitors on the heels of a bulk of research pointing to excessive sugar and carbohydrate consumption as the root of many health problems. For many people with diabetes, tracking blood sugar is critical because levels that dip too low or soar too high could be dangerous and even life-threatening. CGMs – which often require users to wedge a quarter-inch-long needle underneath their skin – have not yet hit the mainstream for those without the disease. But soon, a new, more user-friendly wave of blood-sugar-tracking devices may become available to anyone. 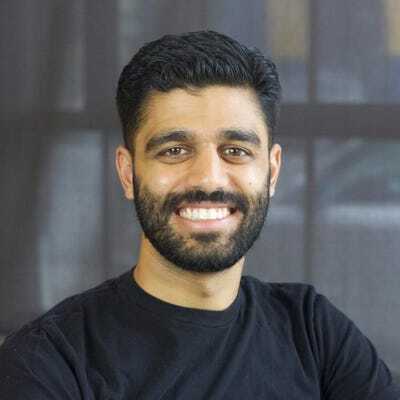 A San Francisco startup called Sano is designing a device that would make tracking our glucose as easy as reading the news or scrolling through Instagram. The company recently received a $US6 million paycheck from Fitbit, its first-ever investment in a startup. “Ideally, you’d be able to use it to choose a diet based on real data,” Pushpala told Business Insider. After that type of carb-heavy meal, someone might look at their readings, see a dramatic rise, and say, “Whoa! What was that?”‘Edward Damiano, a diabetes researcher and professor of biomedical engineering at Boston University, told Business Insider. That spike would tell them their food was too high in carbs and too low in other key nutrients like protein, fibre, and fat. On the other hand, if they ate a more balanced meal with protein, fibre, and fat – such as a dinner of grilled salmon, roasted Brussels sprouts, and half of a baked potato – their glucose levels would remain relatively balanced and flat. Melia Robinson/Business InsiderWoo started a trend at his company, HVMN. 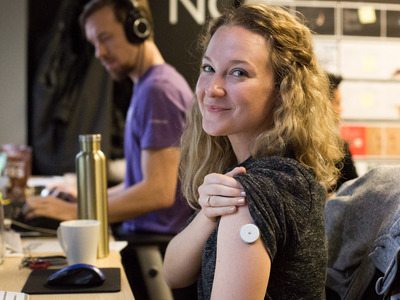 Chrissy Ensley, head of operations and supply chain at the startup, was one of several other employees to start wearing one along with Woo. Damiano reasoned that Woo’s experience could be common among people who start watching their blood sugar. If that data inspires changes in behaviour and diet, it could lead to dramatic health outcomes. In other words, the amount of sugar in a participant’s diet could be used to roughly predict their weight, the researchers found. That could be problematic because of the way our bodies prompt us to overdo it on simple carbs or sugar. Damiano calls this “the insulin effect.” You eat sugar, then you crave more. “Tight glycemic control is necessary to maintain health and to prevent disease,” Blaak wrote. On a recent afternoon over coffee in San Francisco, Pushpala nudged a prototype of Sano’s device toward me. The small, shiny disc was about as thick as a few credit cards. On one side it was smooth and glossy; on the other it felt like sandpaper. That scratchy surface was studded with an array of 400 tiny “microneedles,” as Pushpala called them. 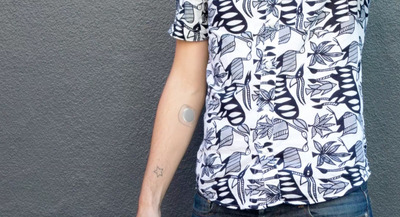 The idea is to essentially take the surface area of the single, traditional CGM needle and spread it horizontally, resulting in a patch of barely perceptible prickles. Like several existing CGMs, Pushpala’s device would have three parts: a disposable sensor that users would wear for several days at a time; the coin-shaped tracker, which gets tucked into the sensor; and a smartphone app that connects to the device by Bluetooth. Pushpala’s goals for the product resonate with Adam Pellegrini, the vice president of digital health at Fitbit. Pellegrini sees the $US6 million investment in Sano as part of Fitbit’s larger pivot to focus on healthcare. 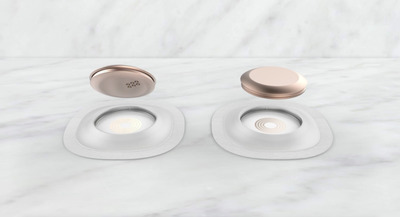 The company’s other recent moves into the diabetes space include teaming up with diabetes device company Dexcom to make blood-sugar data visible on the Fitbit Ionic smartwatch, and partnering with diabetes startup One Drop to integrate Fitbit activity data into its mobile app. It isn’t just the effect of eating bagels, doughnuts, and cookies that people might notice while wearing a glucose tracker.Sugar lurks in dozens of unsuspecting foods, including ketchup, granola bars, salad dressings, and yogurt. A glass of orange juice has roughly the same amount of sugar as a can of Sprite. Foods such as white rice and white bread may as well be sugar given the effect they have on your body. 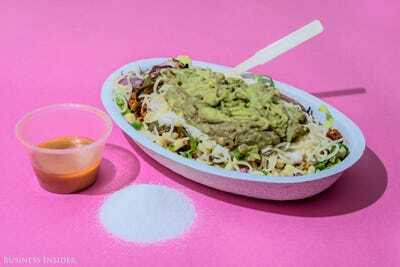 Hollis JohnsonA Chipotle meal with sofritas, brown rice, veggies, toppings, and dressing contains roughly 27 grams of sugar, or 106% of your recommended daily allowance. It means that even when most people think they’re eating healthy, they may be consuming lots of carbohydrates that could send their blood-sugar levels through the roof. “Of course we know that eating less sugar is good, but [without a device like a CGM], how do you know you’re actually doing that?” Pushpala said. Apple and Google seem to think the answer to Anselmo’s question is yes, as do longtime makers of diabetes devices including Dexcom and Abbott. FitbitThe Fitbit Ionic smartwatch displays blood-sugar data from Dexcom’s CGMs. Engineers, scientists, and research leaders at several of these companies told Business Insider that they envision a future in which CGMs are low cost, comfortable, and easy to use – without compromising accuracy or reliability. Some of them see people without diabetes as part of that future, especially those who want to lose weight, improve their health, or boost athletic performance. “The applications for CGM are kind of endless,” Jake Leach, Dexcom’s senior vice president of research and development, told Business Insider. Leach doesn’t have diabetes but has worn several versions of his company’s CGMs while mountain biking. “It’s amazing what you learn. There’s so much it tells you about your body,” he said. ShutterstockConventional blood-sugar-tracking technology uses finger pricks and test strips. On long rides, Leach said he used the CGM to avoid bonking, the dreaded phenomenon that strikes marathoners and other endurance athletes when the body runs out of fuel. 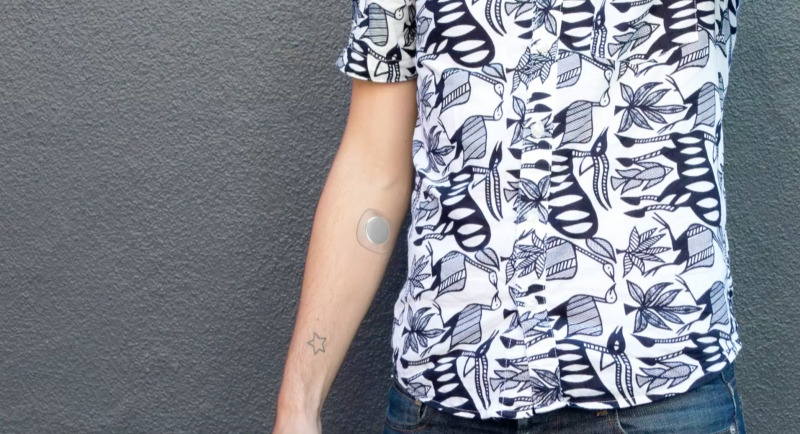 By periodically peeking at his CGM, Leach could see when his blood-sugar levels started to dip – a sign that he needed more energy – and snack on an energy bar. Researchers arestudying this use of CGMs in professional athletes as well. “Ultimately I think it can be an indicator to optimise performance – whether you’re trying to lose weight or become a marathon runner,” Leach said. But we’re not there yet. In the meantime, Dexcom is streamlining the technology for the populations that need it the most. In addition to working with Fitbit, Dexcom has teamed up with Apple to help diabetics see their glucose data on the company’s smartwatch, and partnered with Verily, Google’s life-sciences spin-off, to work on a new type of CGM. Apple has also invested in blood-sugar tracking, but it’s unclear whether its focus is purely on diabetics or on healthy populations as well. The company recently poached several top employees from Sano, and Apple CEO Tim Cook has been rumoured to be wearing a CGM, though the company has not confirmed this. 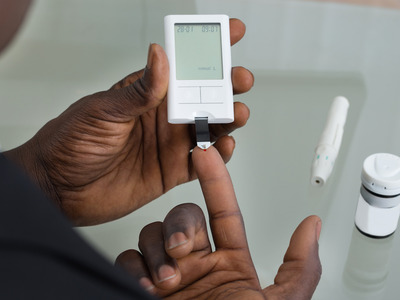 Chris Thomas, the director of biosensor technology for Abbott, wouldn’t comment on what Woo learned, since using the device as a nondiabetic is considered off-label. But Thomas told Business Insider he was not surprised the technology has been adopted by people without diabetes. “We love that we’ve invented a revolutionary product that people want to use outside of what we’ve anticipated it for,” Thomas said. Across the board, dietitians, clinicians, and researchers agree that most Americans are in need of a health intervention.More than a third of Americans are obese and 10% have diabetes, which is set to become the most expensive disease in the world in the coming decade. Experts say that pattern makes blood sugar an important area for more research. For a new tool to work, it can’t merely increase awareness of unhealthy habits; it has to encourage people to change their behaviour. Critics of CGMs for healthy people worry that instead of altering what they eat, people might simply disregard the reminder that their food is unhealthy and abandon the device.